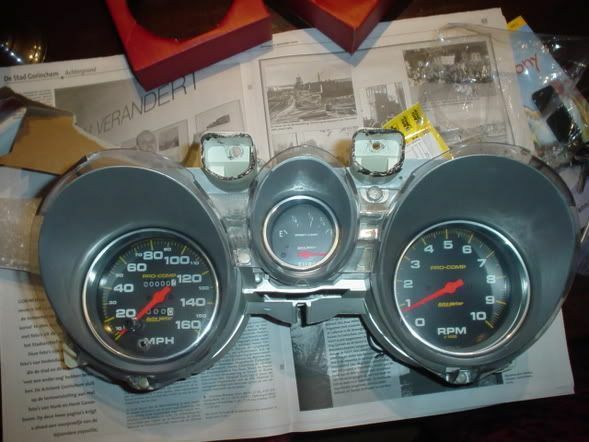 I'm curious to know if the 1973 gauge housing orifices for the Tachometer and Speedometer have different dimensions than the 71-72? My 73 housings are conically shaped with the base measurement being 4.5" making it tough to fit a 5" gauge, while pictures posted by others show that a 5" gauge fits nicely. If anyone can advise, I'd be grateful, as I don't want to hack to the gauge bracket to make this work. If there is a difference- will a 72 fit in a 73? Wasn't the clock in the Tach position a 71 only thing? Might have been different for the clock? I do not have one with a clock in it but going to check some others. Butch, the same instrument cluster housing was used for all 71-73 Mustangs (Part# D1ZZ-10838-A). Although the part number will never be on the actual part there should be an engineering number cast in to the housing to help ID it. Unless there was a supplier/vendor change, D1ZF-10838-AB is the number that you will should find on the housing. David, the instrument cluster clock was standard on the 71-73 Grandé. With the exception of the Boss, idiot lights were standard on all models. The optional Mach1Sport interior included a cluster mounted clock and center mounted auxiliary gauges. The optional instrumentation group replaced the clock (if equipped) with the tachometer. 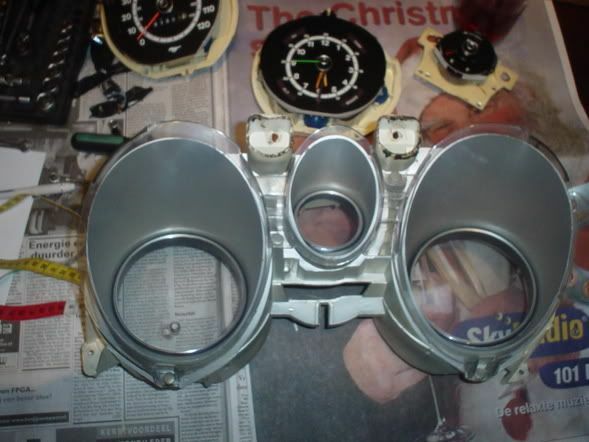 The housing should be the same for 71-73 - the differences are in the mounting plates for the speedometer and tach/clock/warning light. How are you trying to fit the 5" gauges? They should be mounted from the back, not sliding in from the front. (10-27-2018, 09:01 AM)Butch65 Wrote: All- Thanks for the responses. That helps a lot. Bob - appreciate the guidance. Based on my interpretation of BenD's post I was working with the idea that the gauges would slide in from the front and secure from the back. Might need to rethink that. I'll keep reviewing the posts of those who have done this already and kept a stock look to figure out the best option. This is a shot of BenD's gauge set. His ride is a right hand drive, hence the gauge orientation. Check my new post for a look at new gauges retrofitted into the left hand housing.